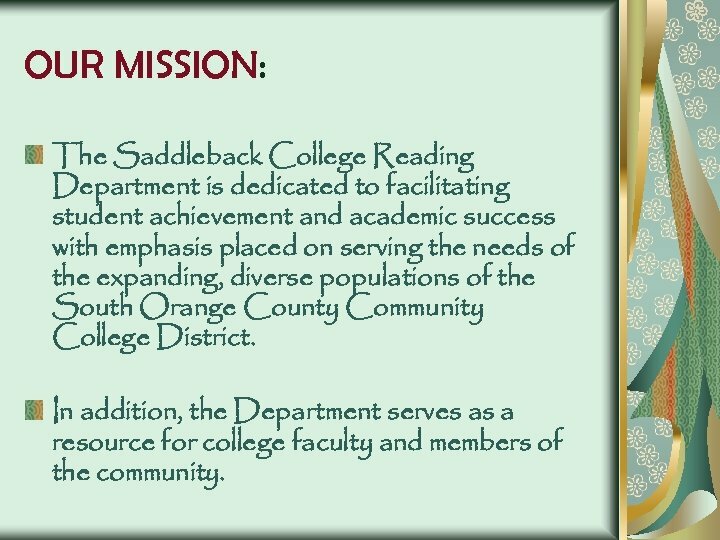 OUR MISSION: The Saddleback College Reading Department is dedicated to facilitating student achievement and academic success with emphasis placed on serving the needs of the expanding, diverse populations of the South Orange County Community College District. 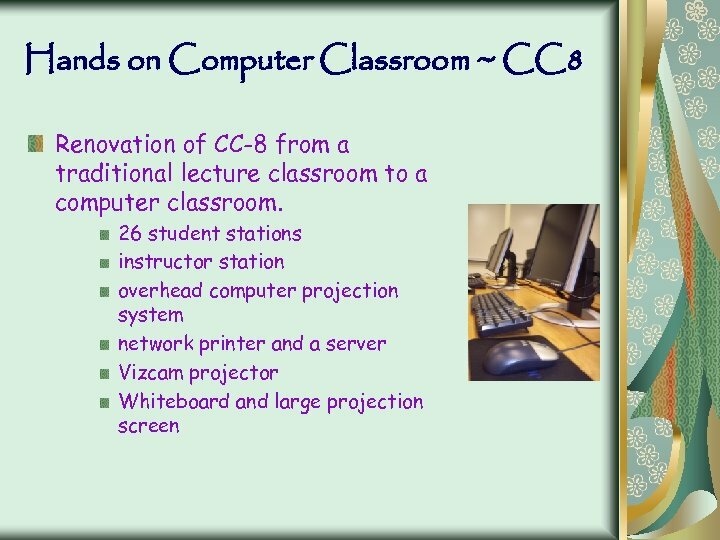 In addition, the Department serves as a resource for college faculty and members of the community. 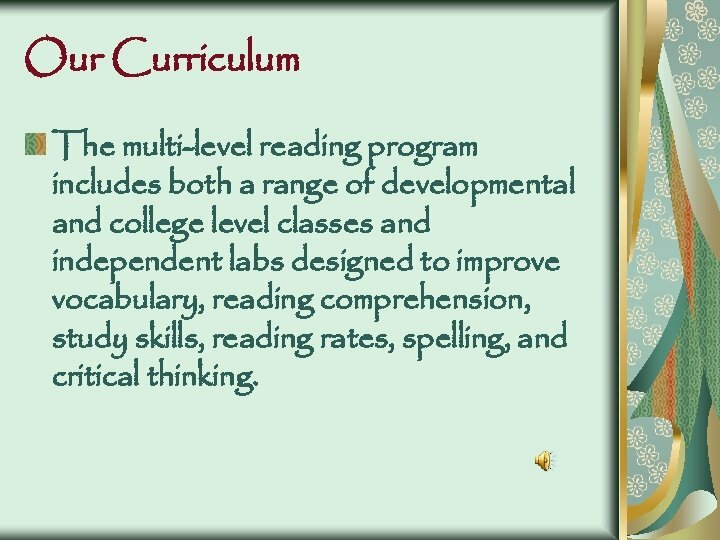 Our Curriculum The multi-level reading program includes both a range of developmental and college level classes and independent labs designed to improve vocabulary, reading comprehension, study skills, reading rates, spelling, and critical thinking. 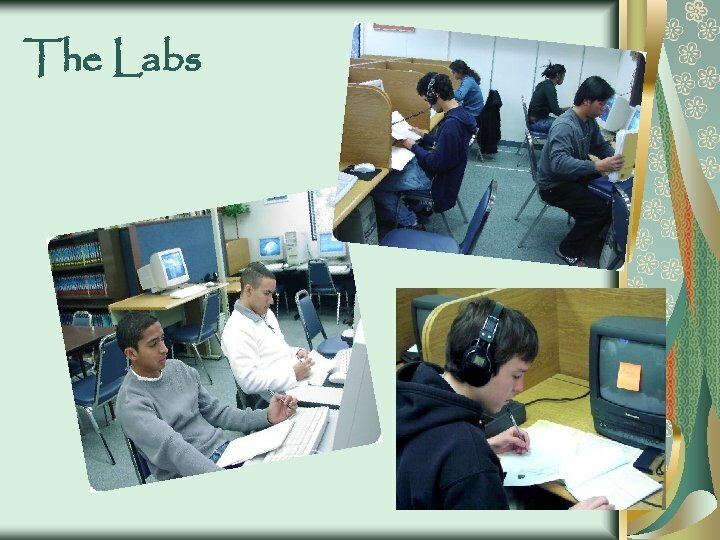 Our Technology State-of-the-art technology and software programs form the core of the independent reading labs. 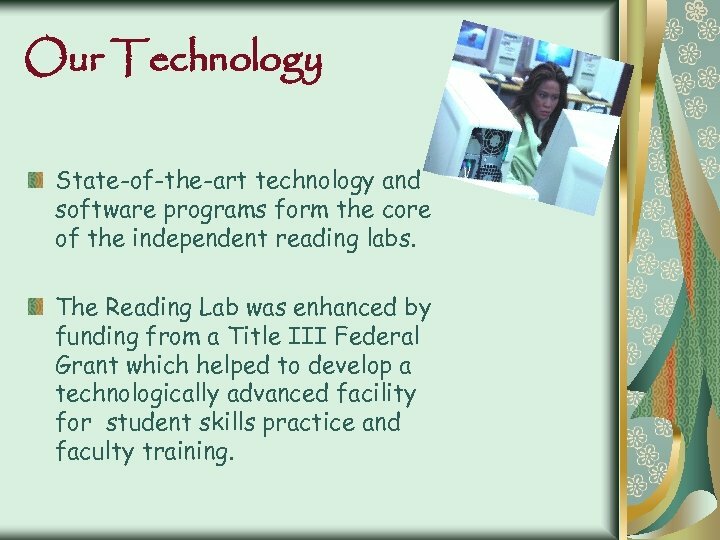 The Reading Lab was enhanced by funding from a Title III Federal Grant which helped to develop a technologically advanced facility for student skills practice and faculty training. 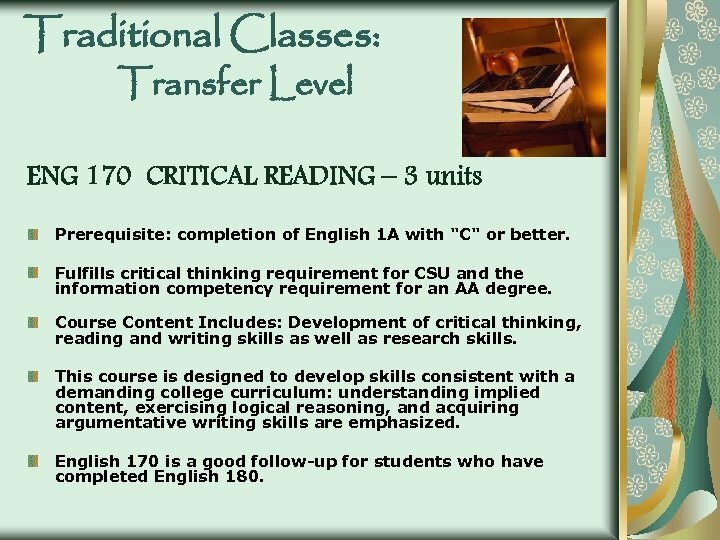 Traditional Classes: Transfer Level ENG 170 CRITICAL READING – 3 units Prerequisite: completion of English 1 A with "C" or better. Fulfills critical thinking requirement for CSU and the information competency requirement for an AA degree. 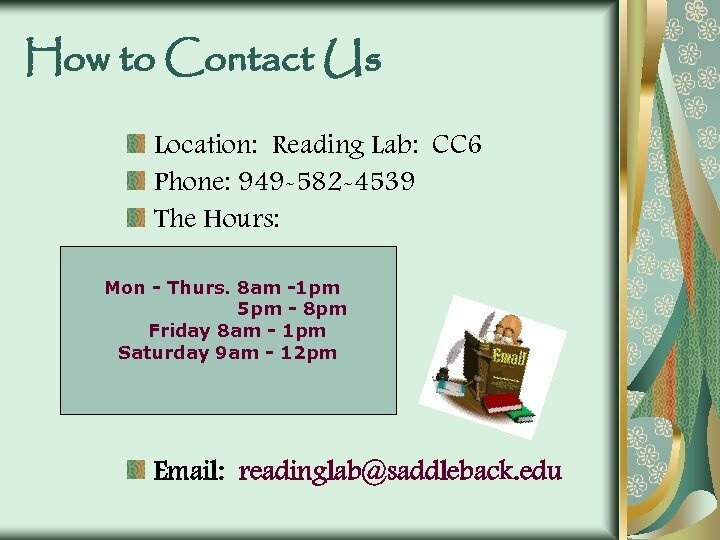 Course Content Includes: Development of critical thinking, reading and writing skills as well as research skills. 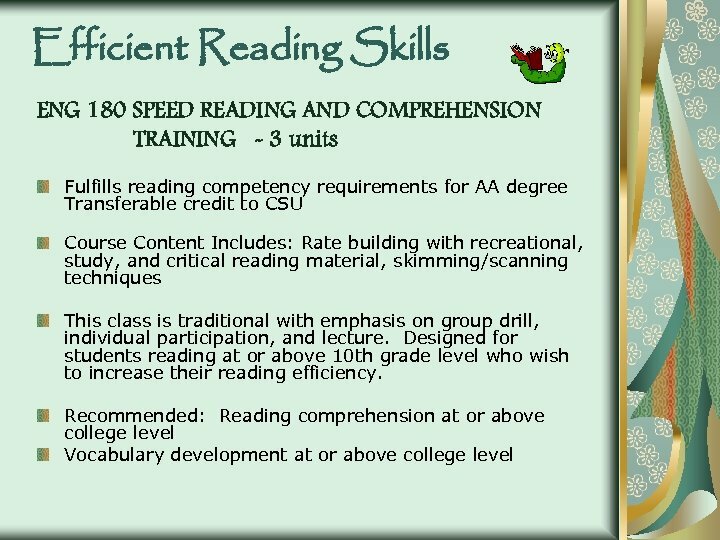 This course is designed to develop skills consistent with a demanding college curriculum: understanding implied content, exercising logical reasoning, and acquiring argumentative writing skills are emphasized. 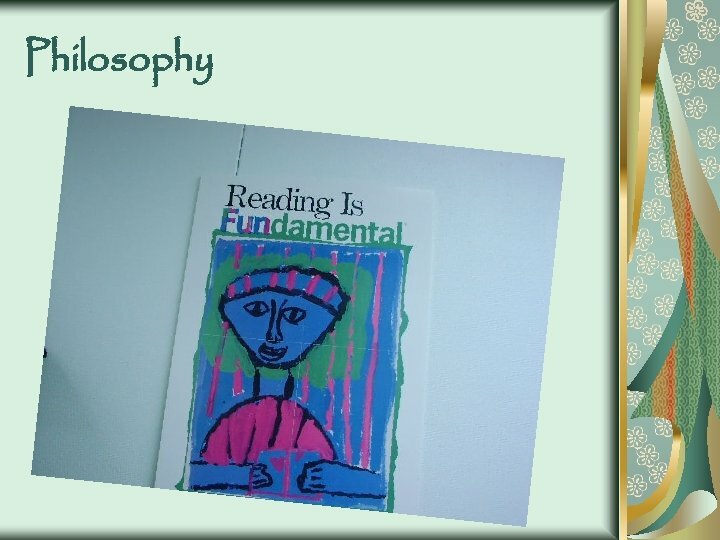 English 170 is a good follow-up for students who have completed English 180. 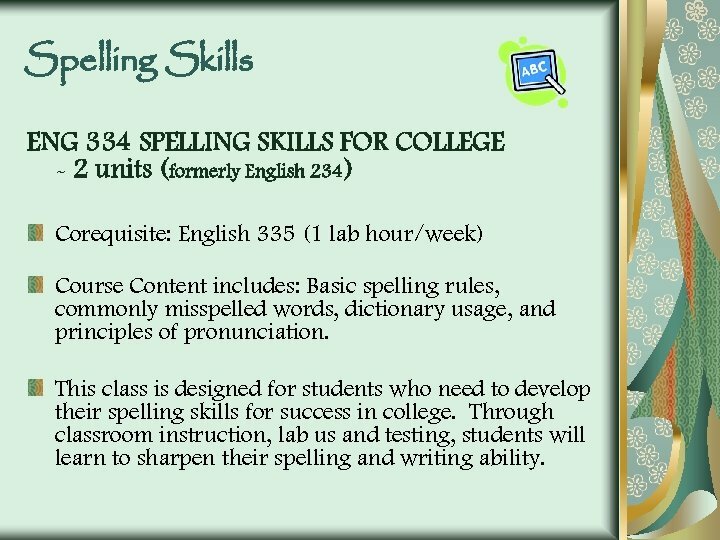 Spelling Skills ENG 334 SPELLING SKILLS FOR COLLEGE - 2 units (formerly English 234) Corequisite: English 335 (1 lab hour/week) Course Content includes: Basic spelling rules, commonly misspelled words, dictionary usage, and principles of pronunciation. 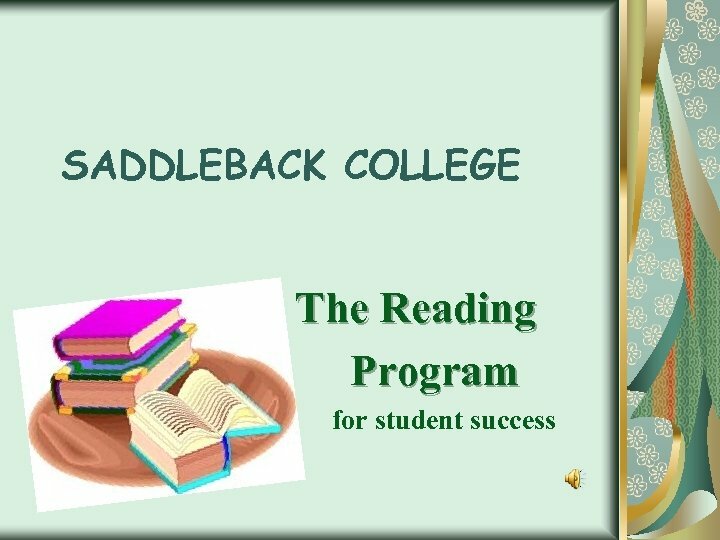 This class is designed for students who need to develop their spelling skills for success in college. 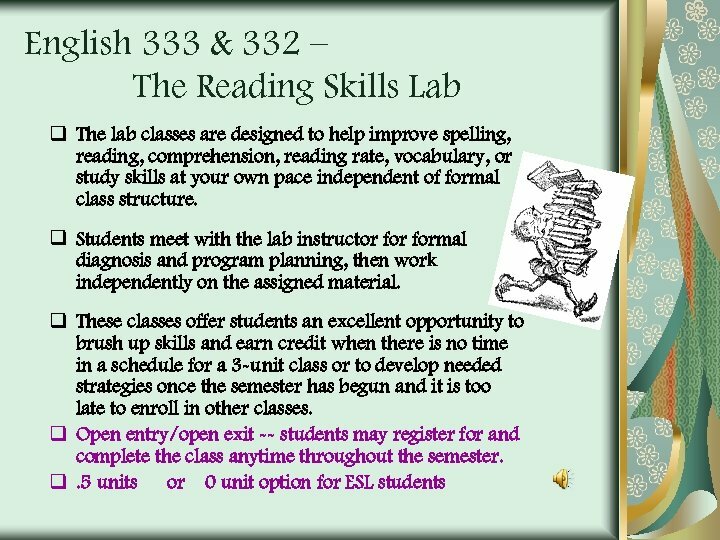 Through classroom instruction, lab us and testing, students will learn to sharpen their spelling and writing ability. 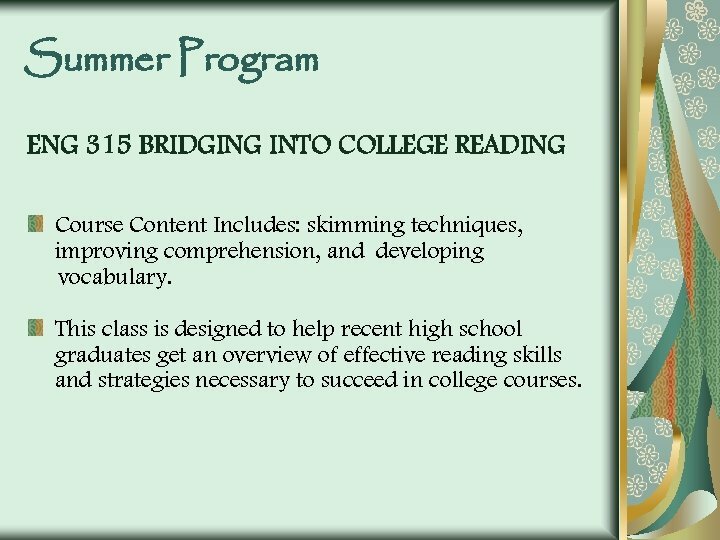 Summer Program ENG 315 BRIDGING INTO COLLEGE READING Course Content Includes: skimming techniques, improving comprehension, and developing vocabulary. 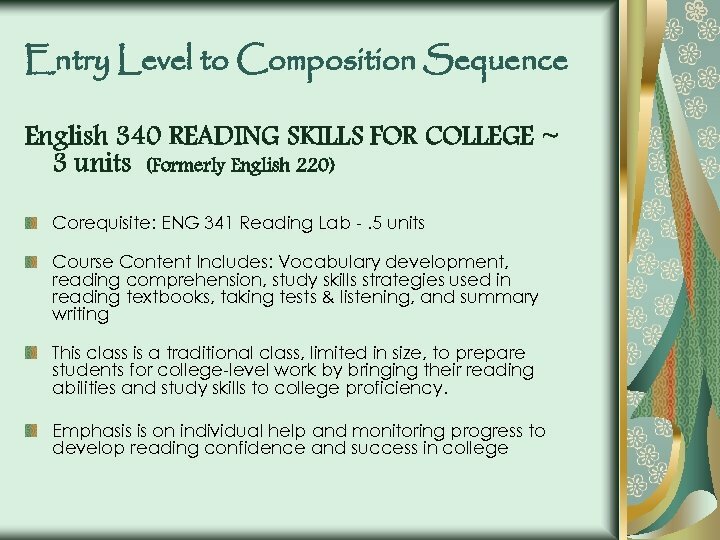 This class is designed to help recent high school graduates get an overview of effective reading skills and strategies necessary to succeed in college courses.